As an additional cost to play Primitive Justice, you may pay 1R and/or 1G any number of times. Destroy target artifact. For each additional 1R you paid, destroy another target artifact. 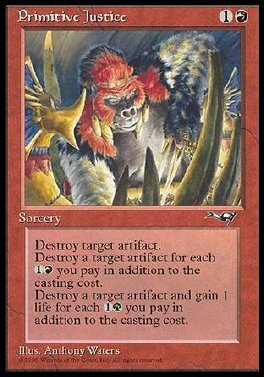 For each additional 1G you paid, destroy another target artifact, and you gain 1 life.